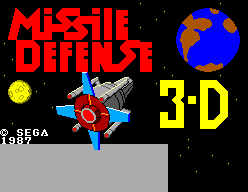 View topic - Missile Defense 3-D (SMS) & Bubble Bobble (GG) Prototypes & more - Forums - SMS Power! Thanks a lot for the new protos and new correct dumps, sir! Added so valuable information to No-Intro Dat-o-Matic. Thank you for these new dumps. 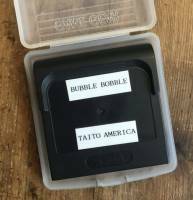 I'm dumping most cartridge via the SMS/GG bus. You can split the resulting file in two 128 KB to get individual EPROM chip dumps. It's fairly meaningless for a console like the master system, and the exact same dump could perfectly be shipped on a single EPROM instead of two. 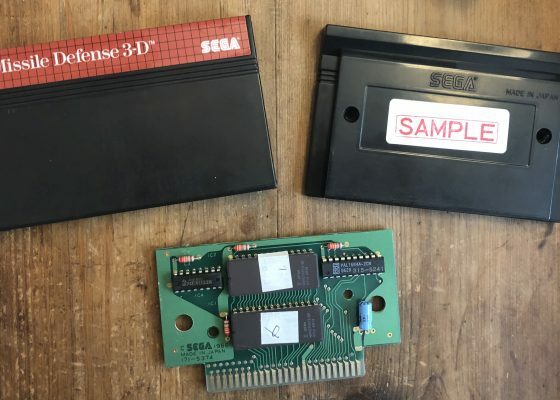 Many retail cartridges comes in various chip combination that equates the same data from the Z80 POV and would be multiple dumps (with exactly same data) by that overzealous MAME definition. I think the giant list of MPR numbers covers that, at least for mask ROMs. In theory yes. In practice. 1) It has near zero use for anything other than an idealized attempt to record information that are not useful in this context. I'd be happy to hear how you think it can be of use. 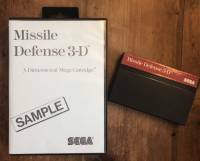 2) Asian cartridges would need to be all opened and labels damaged. 3) I need to draw a line to be able have some sort of life ahead of me. 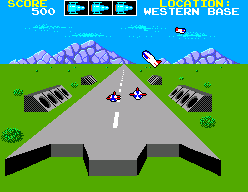 SmsPower and dumps have taken an insane amount of energy, cognitive load, space and money from me which is affecting all aspects of my life even today (I am _still_ chasing undumped games, and hosting the collection is still a huge headache). I have to draw some sort of line so I won't still be doing that when I am 90 years old :) I would much rather work on Meka or the site infrastructure and its contents than devise a new sub-sub project of documenting board information for a system where it does NOT really matter. But, if someone wants to come in Paris and open all my cartridges carefully and scan the boards and then to do the same with 4-5 other major collectors to gather data on board variations, I'd be happy to help to allow that to happen. But personally I need to prioritize because there's so much more useful things to do imho. I would feel the same about opening my Genesis games. US games fine, if I felt up to spending the time opening and photographing them. But Japanese games, I would not (even if it is only the caution label on the back that would need to be). The only one I would open is the one I received with the label already removed (so I can say it is not I that damaged them). And a reportedly Asian Genesis 6-Pak (having a kind of suspect box and no manual for a "new" game wonder if it was legit) I cut through the "Genuine" sticker to verify it is indeed looking like a genuine game. Possibly repackaged US cart (as it still had the US hints phone number on the label)?